Prior to European settlement, bison ranged over most of the Great Plains, including Texas. These great herds were constantly on the move to allow grazed areas to recover. Their hooves churned the soil leaving bare areas for annual forbs (weeds & wildflowers) and grasses to take hold. Forb-eating animals like deer and antelope and weed/seed-eaters like dove and quail were attracted to these areas. Land managers today use domestic livestock as a tool to mimic the bison herds-to manipulate and enhance plant diversity for wildlife. 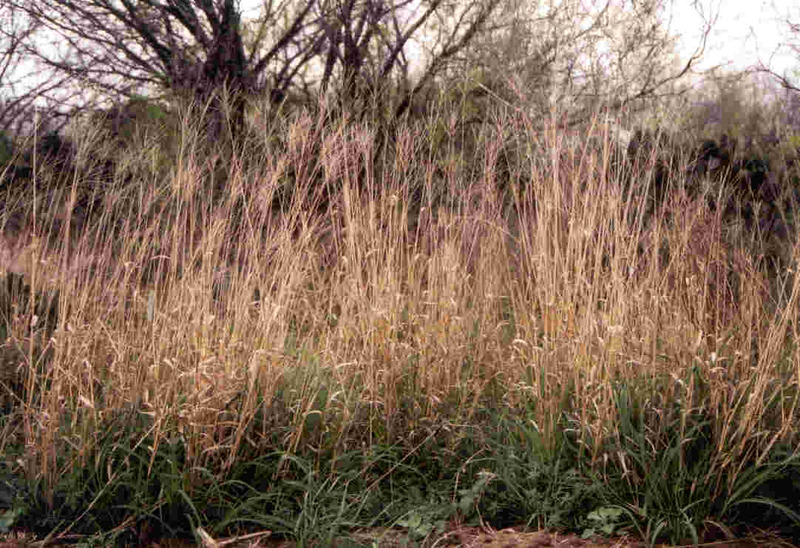 The primary role of grazing in a wildlife management program is to reduce the quantity of old-growth grass monocultures, allowing sunlight to reach the lower growing forbs (weeds) which are important wildlife foods. In turn, this process also creates structural diversity for nesting, brood rearing, and escape cover. Appropriate domestic stocking rates - balancing livestock numbers with available forage. Stocking with the appropriate class of animal - Cattle are primarily grass eaters (grazers) but will consume forbs/browse as grass disappears. Most wildlife species prefer forbs and/or browse (browsers) but cannot switch to grass as their preferred foods disappear. On overstocked ranges cattle and exotic species, therefore, compete directly with native species by removing preferred wildlife foods. Pasture deferment through rotational grazing - Range improvement can be attained through balanced stocking rates and scheduled rest periods throughout the year to allow pasture recovery. 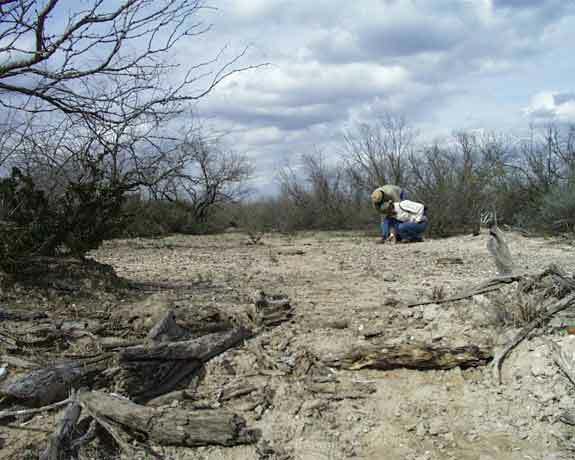 Deferred grazing system options vary with degree of involvement and fencing requirements, however, the high intensity - low frequency system (HILF) has proven to be the most versatile on South Texas rangelands. In theory, rotational grazing systems are always preferred over continual grazing systems that do not allow plants critical recovery time. 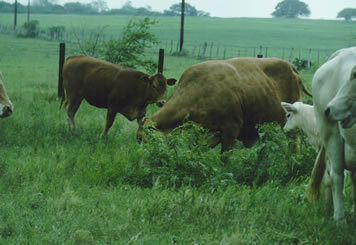 Livestock grazing should balance animal numbers with available forage. The photos below shows the extremes from overgrazed unhealthy wildlife habitat in the center to abundant grass cover in the photos to the left.